Bet the title got your attention, huh? 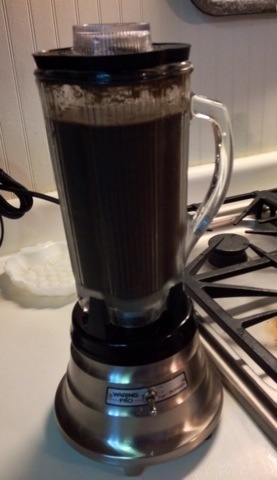 Well this smoothie isn’t for people…it’s for rose bushes. I have mentioned that banana peels are awesome junk food for roses. I told you I save my peels and just stash them in a plastic bag in the freezer until I need to feed the roses. Well, since my bushes have had their first blooms and one bush got beaten up by the roofers I decided today was the day. The consistency of this smoothie for rose bushes should be on the thick side , but pourable. I don’t take my blended outside I pour the goop into a plastic pitcher. I then go around to each bush and dig a few ounces in around the base of each bush. I have a standard sized blender and only a few rose bushes right now, so one batch of rose smoothie is all I need every time I do this. 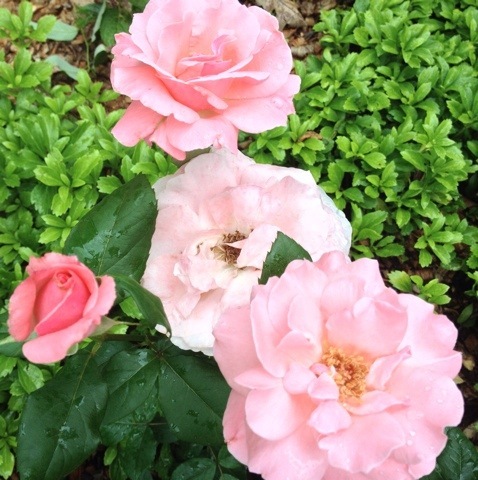 I will feed my roses this concoction every two weeks until Labor Day. Now, I know people have this banana peel magic out on the Internet, but I want to tell you specifically how I first learned about this, which is easily twenty plus years ago thanks to a gardening article I read in the Wall Street Journal. Yes, the Wall Street Journal. Some of the best gardening articles I have ever read have been in the Wall Street Journal over the years. So in this article the writer was talking about caring for roses and mentioned banana peels. 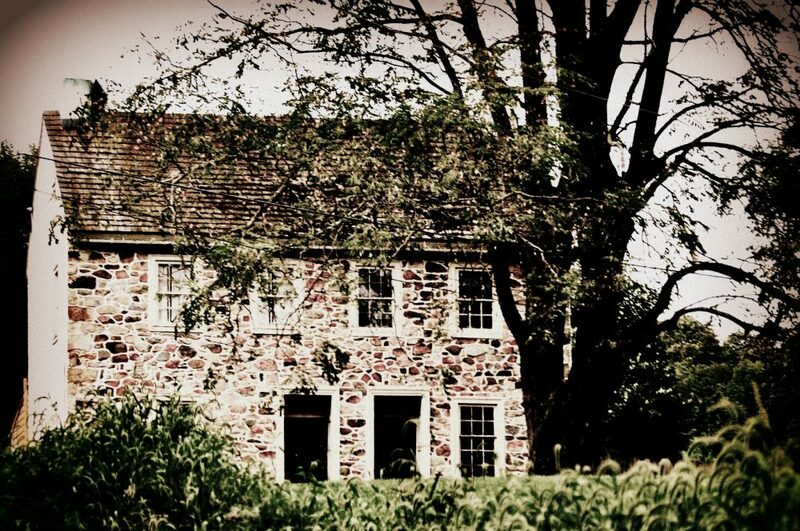 The writer cited as a source a book called Old Wives’ Lore for Gardeners by Maureen and Bridget Boland. The book was originally published in the 1970s in the United Kingdom but you can still find gently used copies on Amazon.com today. . 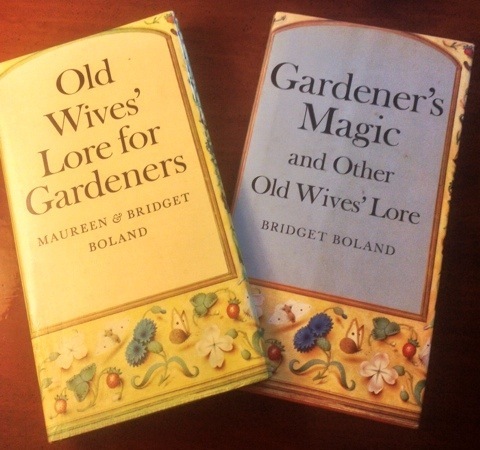 I have the book and the companion book Gardeners’ Magic and Other Old Wives Lore by Bridget Boland. Banana peels add calcium, magnesium, phosphates, silica, sulphur, and potassium. Spent (or used) coffee grounds are rich in similar nutrients (nitrogen, potassium, calcium, phosphorus, and magnesium). 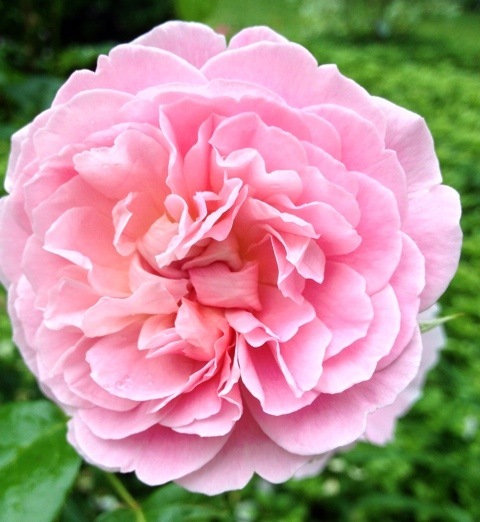 Anyway, if you grow roses, try this. And if you like fun vintage gardening books, find yourself a copy of Old Wives’ Lore for Gardeners. Food for thought as I leave you for the day: do you miss the real gardening shows that used to be on television ? There used to be real gardening shows where hosts including Martha Stewart used to get out and dig flower beds, discuss plants, and so on. They would share tips. Today all it is all hardscaping , fake pre-cast pavers, and outdoor kitchens as far as the shows. No real horticulture. I miss the real gardening shows.